Use the tabs on the left for more detailed information on our most popular products. Cooking in front of customers raises awareness about the food offer, highlighting that food is being ‘cooked to order’ and communicating key messages such as the use of all fresh ingredients and healthy eating options. Varithek comes in two and three module formats. 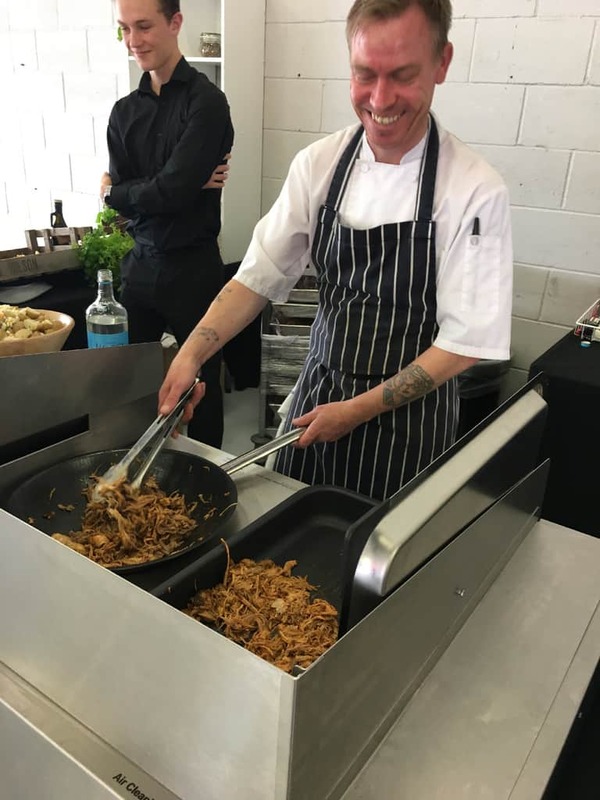 Placing cooking stations in the front of the restaurant or servery brings energy to the offer; staff are out front interacting with customers, explaining and upselling the menu, making recommendations and helping choose ingredients for the finished dish. 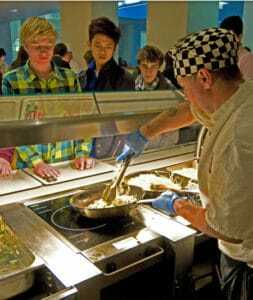 Front cooking also increases the number of covers that can be served, reducing pressure on the main kitchen. From simple fried eggs and bacon, to desserts such as crepes and pancakes – or main courses such as pan-seared tuna served with rice, fresh chopped chilli, curry sauce and a garnish of fresh herbs – ‘front cooking’ or ‘theatre-style’ is all about improving communication with the customer. 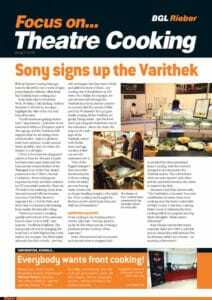 Click here to read the Rieber Newsletter on Theatre Cooking. 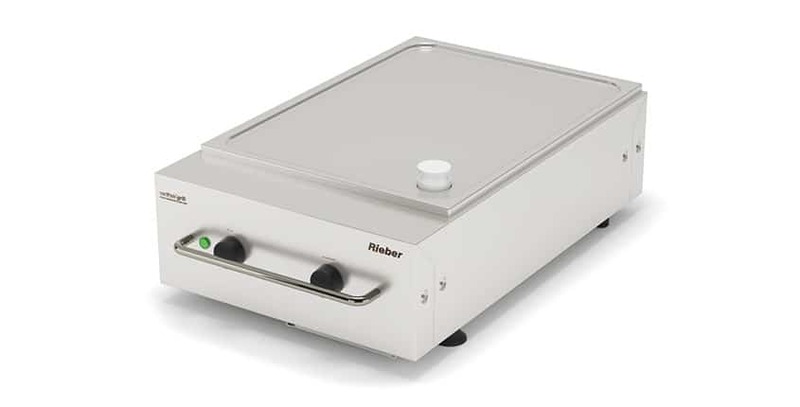 Rieber’s Varithek ACS (Air Clean System) is a ‘front’ or ‘theatre cooking’ system accommodating slot-in cooking modules including griddle, 1/1 induction hob, induction wok and pasta boiler/deep fryer. 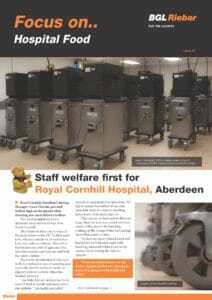 Featuring integrated ventilation, there is usually no need for overhead canopies or other extraction. 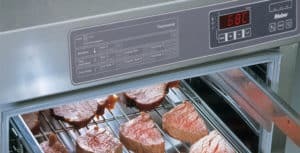 Refrigerated and ambient options offer a system for all occasions including a full hot-plate buffet. Modules are accommodated within the Varithek cooking station, which is offered with the optional ACS air clean system. Varithek modules are also available to drop into worktops or serveries; ideal for retrofitting to update an existing counter or for new builds. Why limit yourself to only keeping food hot? 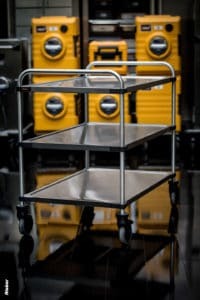 The Rieber EST system brings theatre-style cooking and food display to conventional food serveries. 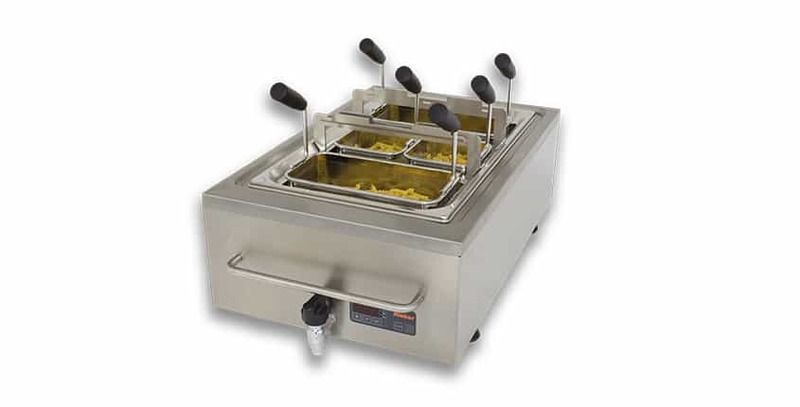 The EST modular system can be utilised to cook anything from fried eggs to noodles and stir fry’s (under conventional extraction). It will also simmer dishes such as curry sauces and then keep them hot, ready for service. 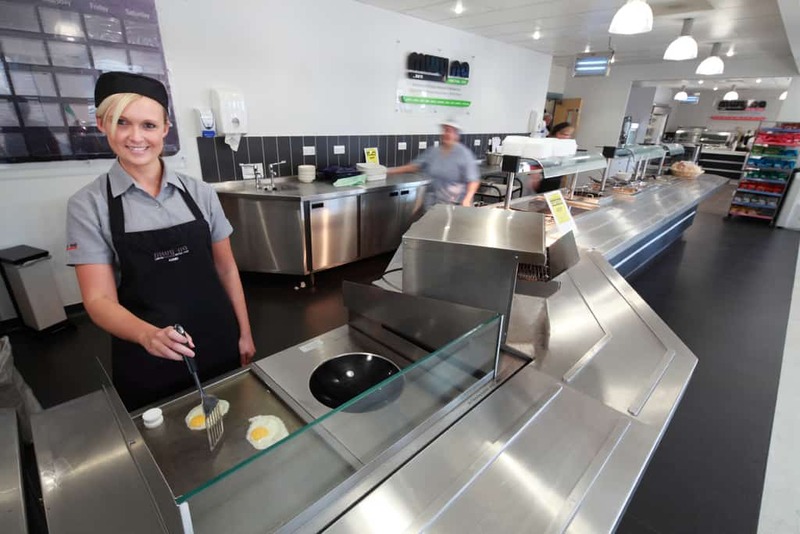 The EST system simply allows Varithek modules to be replace conventional hot holding plates, making it ideal for new counters or refurbishments. For busy periods use it for the daily ‘special’ such as stir fry’s, burgers, pasta, noodles. Or to promote breakfast trade for example, use EST to cook fresh to order – eggs, bacon, omelettes etc. 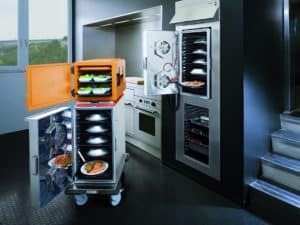 Hybrid Kitchen offers the versatility of a traditional cooking oven, but is fully mobile. 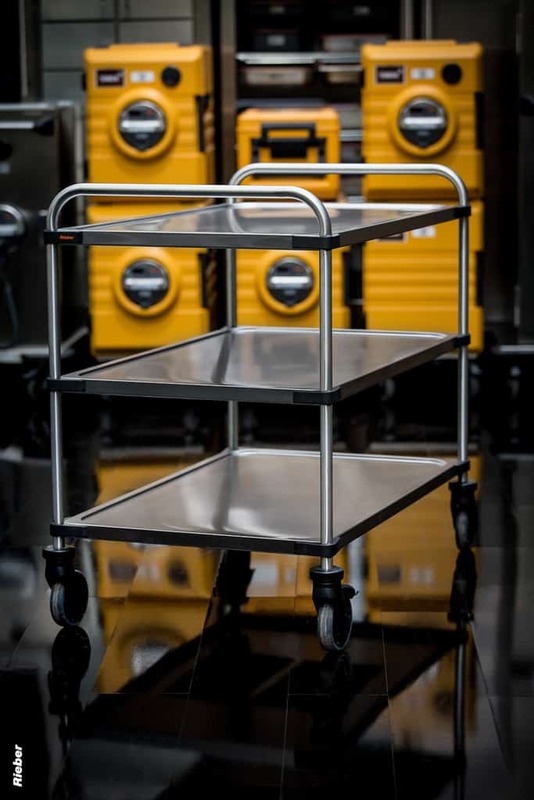 The oven is designed to reheat from frozen, chilled or ambient, making it ideally suitable for meals regeneration for schools, B&I, contract and event catering where a mobile solution is required. The components combine Thermoport bulk food regeneration and delivery systems and hot and cold food boxes. 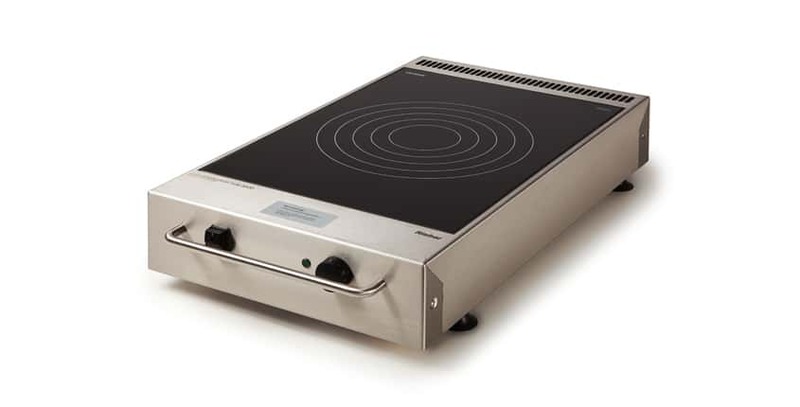 Finally, the Thermomat is a specially developed “cook and hold” oven that provides extra flexibility for front cooking stations. Thermomat can hold pre-cooked slices of gammon, for example, while the Varithek ACS can provide the fried egg on top. 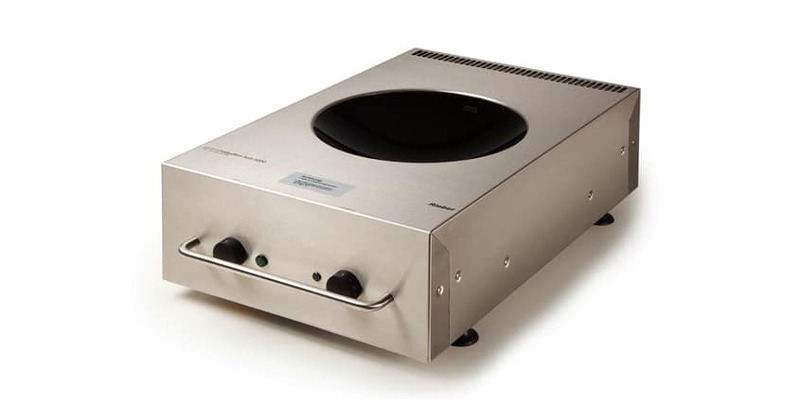 Thermomat is available in two configurations – with doors or drawers. Whole legs of lamb or joints of beef, soups, stews, vegetables or ready- prepared meals can be kept warm, reheated or cooked at a low temperature with pre-set temperatures kept to an amazing +/- 1°C.